Elements of shanezentz.com web site are protected by trade dress and other laws and may not be copied or imitated in whole or in part except for the purpose of transmitting for viewing. No logo, graphic, sound or image from any shanezentz.com web page may be mirrored, modified or otherwise altered and retransmitted unless expressly permitted by shanezentz.com in writing. Except as expressly provided above, nothing contained herein shall be construed as conferring any license or right under any shanezentz.com copyright, patent or trademark. All rights reserved worldwide. Any rights not expressly granted herein are reserved. The information in this publication, including text, images, and links are provided “as is” by shanezentz.com solely as a convenience to its users without warranty of any kind, either expressed or implied including, but not limited to, the implied warranties of merchantability, fitness for a particular purpose, or non-infringement. shanezentz.com assumes no responsibility for errors or omissions in this publication or other documents which are referenced by or linked to this publication. This publication could include technical or other inaccuracies, and not all products or services referenced herein are available in all areas. 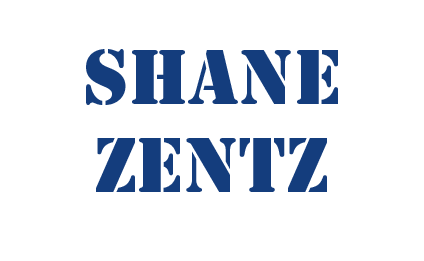 Changes are periodically added to the information, and shanezentz.com may change the products or services described herein at any time. Contact shanezentz.com from further information before relying on any information contained herein. Should you choose to respond directly to shanezentz.com with any information including comments, questions, suggestions, ideas or the like relating to this web site or shanezentz.com products or services, you agree that such information shall be deemed as non-confidential and shanezentz.com shall have no obligation to respond and be free to reproduce, use, disclose and distribute the information to others without limitation, including but not limited to developing, manufacturing, and marketing products incorporating such information. We created this copyright notice using a free copyright notice precedent developed by SEQ Legal and available at www.website-law.co.uk. Premium precedents available from SEQ Legal include template T&Cs for the supply of services. You may request permission to use the copyright materials on this website by writing to webmaster@shanezentz.com. If you become aware of any use of our copyright materials that contravenes or may contravene the licence above, please report this by email to webmaster@shanezentz.com. If you become aware of any material on our website that you believe infringes your or any other person’s copyright, please report this by email to webmaster@shanezentz.com.